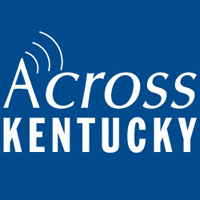 A special report on a Kentucky Proud project involving dairy farmers, the Ky Ag Department, Wal-Mart and Prairie Farms Dairy of Somerset. Kentucky Proud has worked a deal where a major region of Wal-Mart stores have begun selling UdderlyKy milk products and a portion of sales will go back to Kentucky dairy farms. Check it out at Udderlyky.com.